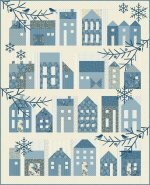 Classes, Blocks of the Month, Open Sewing! Spots are filling up fast! 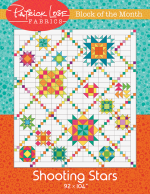 Don't delay in getting this B E A U T I F U L block of the month designed by Edyta Sitar. We have the first couple of rows ready for you to see. This picture does not do this justice. Much more beautiful in person. October 21 -- T-Shirt Quilts -- You know you have a huge pile of t-shirts. Learn how to turn them into a quilt. Judy will teach you all the tips and tricks in this 2-hour class. Class fee is $20 and runs from 10:00 a.m. to Noon. Grab your machine and your project and join us for open sewing on the first and third Fridays of each month from 10:00 a.m. to 4:00 p.m. beginning on October 6th. Bring a friend, pack a lunch and have some fun! Tuesday, September 26th from 3:00 p.m. to 6:00 p.m. We are leaving the shop open late so you can come and meet Misty's puppies. Cute, fluffy and absolutely adorable. Deb Zierler from Harvestime Kennel will be there to show you all of Misty's puppies running around our classroom. Bring your kids, grandkids and spouses. Who doesn't love puppies.